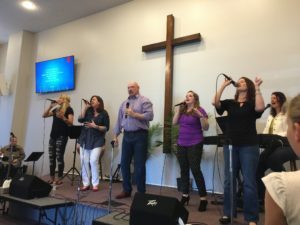 IMPACT CHURCH is located in the town of Fruitland on Maryland’s Eastern Shore,minutes from Salisbury and 30 minutes west of Ocean City. We desire to proclaim the Good News of salvation by faith through the grace of Jesus Christ and to make an impact on our community by becoming a real asset to those who live, work, learn and play in the world around us. We want to help our community be successful and continue to be a great place to live and raise a family. In short, we wish to be a resource to those around us as we live life together. If you are looking for a church to belong to, we’d love for you to consider us. Feel free to look around and find out who we are and what we are about. If there is any way we can be of service to you, don’t hesitate to contact us.